B and I were at The Curve last Monday. After a quick (not so anyway..haha) shopping at IKEA, we walked around and found Popular Bookstore. I was broke since the salary came out early last month. 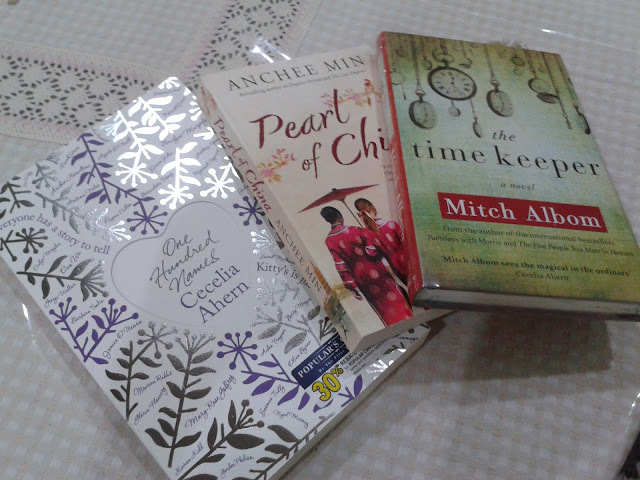 My youngest bro told me to buy Mitch Albom's latest book. I entered the store and went super crazy instantly. I love books. I would choose book over handbag, shoes or clothes. That store was having sale and many great offers. There was one section with 'Highlight' tag on it. 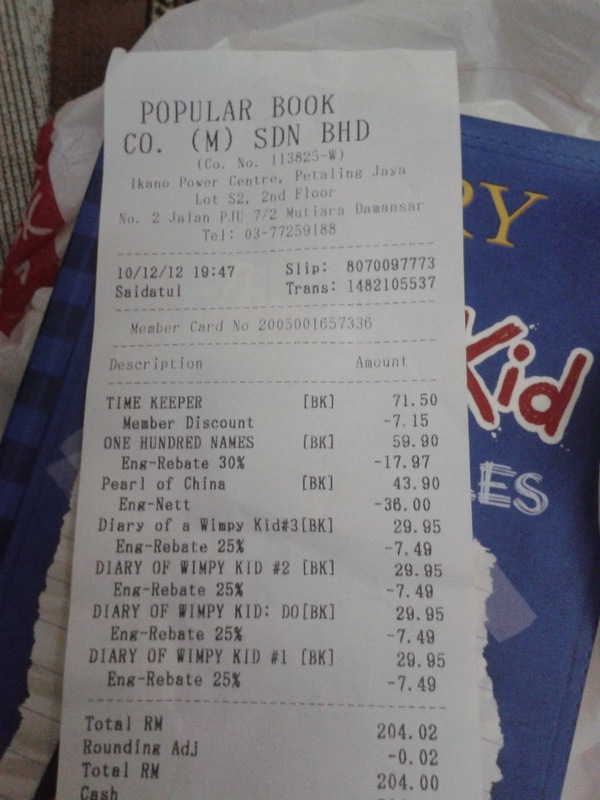 All the books were sold at RM7.90 and there were all from popular authors. so opkos I went gaga. 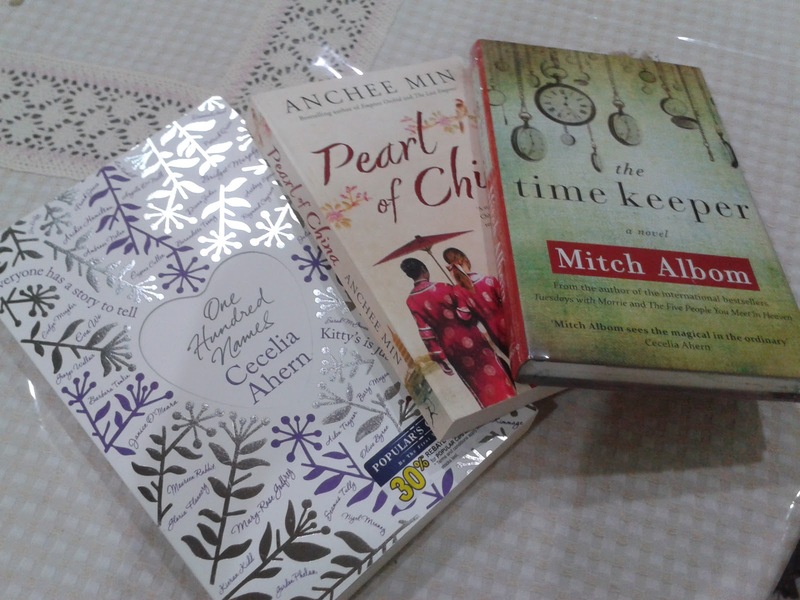 I bought Anchee Min's for only RM7.90. Score!! Today I checked Popular, Mahkota Parade Melaka shop. 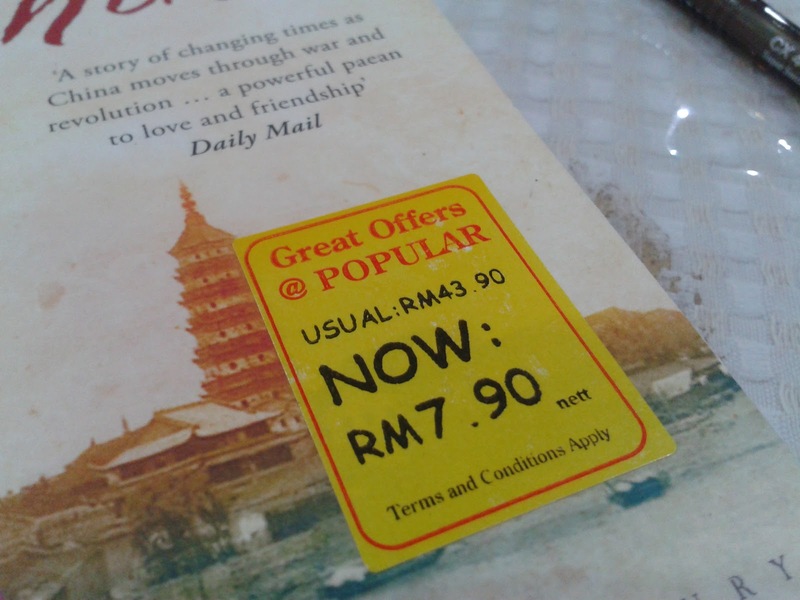 It didnt have offers like the one at The Curve. Why ah? Reading makes you rich. Start reading people!